You surely make great efforts when performing your favorite sport, for every time you exercise, your body loses a lot of water and salts, which causes you to feel tired and out of stamina to keep doing these exercises that keep you healthy and fit. 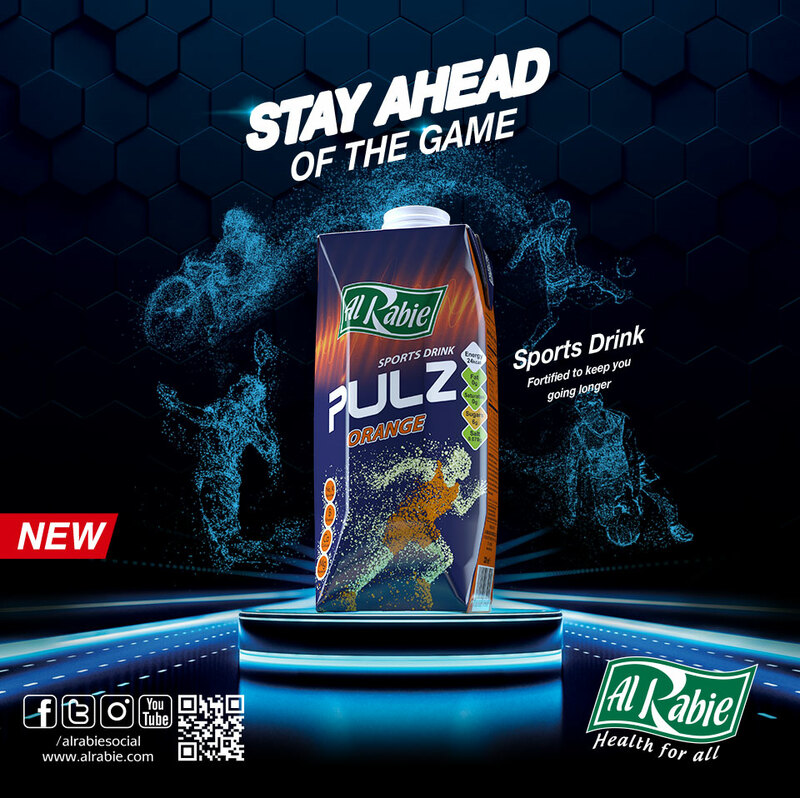 Now, Al Rabie presents athletes and people who care to stay healthy and fit with “PULZ”, the new fortified sports drink for a boosted stamina and an enhanced athletic performance, through replenishment of water and salts the body loses during the workout. “PULZ” is fortified with 15% of the daily needs of vitamins B3, B5, B6, B9 and B12 which are essential to the body’s metabolism processes. “PULZ” also contains Magnesium, which contributes to energy production and is essential for muscle performance as well. The product is available in various refreshing flavours that satisfy all tastes and ages, such as Orange, Pineapple and Lemon. If you exercise regularly, make sure to drink it before, during and after each exercise and stay ahead of the game with "PULZ".